Parata provides a dedicated Project Manager (PM) to assist with the implementation process of our products. Once your machine is installed and ready to run, your installer switches to training mode and stays on site to get your team up and running as well. 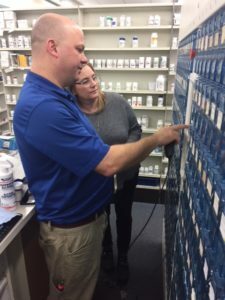 From operation to cleaning and regular upkeep, your pharmacy technicians and pharmacists will be confidently Powered by Parata with the know-how to make the most of your investment.